Home LifestyleLocalRaleigh	Kid’s Concerts Aren’t Just for Kids! 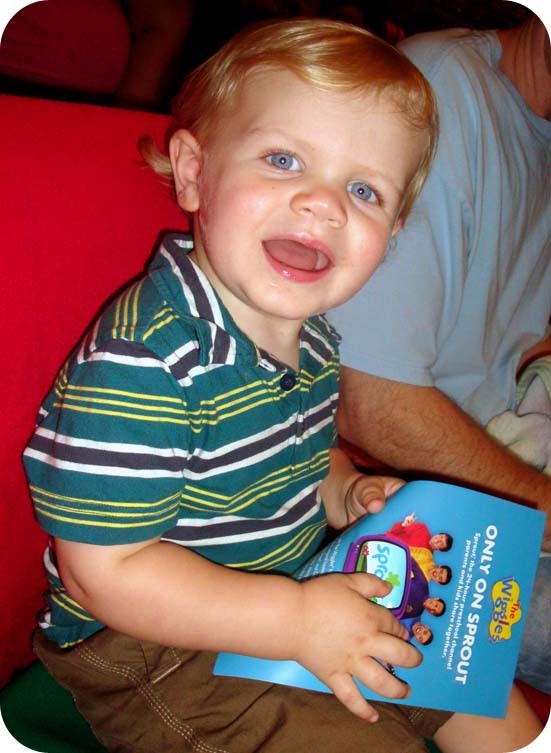 So when Oscar’s Grandparents saw that the Wiggles were coming to Raleigh, they decided to buy us tickets (hooray)! We went last Sunday and we had a blast! ALL of us! Jerry and I had never gone to a live kid’s concert before, so we weren’t really sure what to expect. What we found were parents and kids alike who were bursting with energy and excited to be there. Everyone knew all the words to all the songs (which made me feel better about the fact that I did too), and the older kids were singing and doing the moves for each dance. Oscar sat with his jaw dropped for 2 hours. He was entranced. And he pretty much still is. And I really couldn’t believe that Jerry and I had as much fun as we did. It was so great to see Oscar react to certain things and just do this thing together as a family that we could all participate in. It sure is great to be a kid. And it’s pretty awesome to be a parent too! Have you taken your children to see a live show? What was your favorite? I don't think we ever did a live kid's show but we took them to the Ringling Bros Barnum & Bailey Circus once, that was fun! No, wait! We did the Indiana Jones Show at MGM Studios. They LOVED that! Dean was even pulled onto the stage as part of the show. He was hilarious and it was a high point of our vacation. Super cute pictures. I am glad to hear you had a good time. We're not huge Wiggles fans in this house, but I am really HOPING that Laurie Berkner makes her way to the Triangle sometime soon. Because I know we (I mean my daughter!) would have a blast there. Either that or there needs to be a Phineas and Ferb cast performance, which is highly unlikely, given the fact that they are cartoons and all. So far we've only been to the circus and Disney on Ice. Though we also did a Sesame Street performance at RBC, and it was fun, but she was smaller [and the tix were free!] so we were kind of far from the stage. We'll get somewhere more fun sometime soon. Yes! When our girls were small we took them to Disney multiple times (that counts, doesn't it? ), Seaworld, and various aquarium shows. Then when they got older we went to the new Tampa Performing Arts Center and saw Teddy and Alice (a headed-for-broadway production), and Fiddler on the Roof with Topol himself. Early in our family-raising days we read an article saying that investing in memories was more important than buying stuff. We have been very pleased with the return on our investment. Love you! Hi Andrea! Thanks for stopping by my blog. Although the adventure of the day was probably the most fun to write about, the reality of the poverty of that region was quite evident as we drove through and was eye-opening for our kids. Good for you for taking two philanthropic trips! My kids are in their teens now so live concerts are not what they used to be 🙂 but we have always taken them to all kinds of live events and never regretted any of it – from symphony to Broadway to kids singers to American Idol to hockey games. You name it, we do it if we can afford it. We've been to several live shows so far. Thomas the Tank Engine Live, Sesame Street Live, and the Nick Jr Storytime Live. 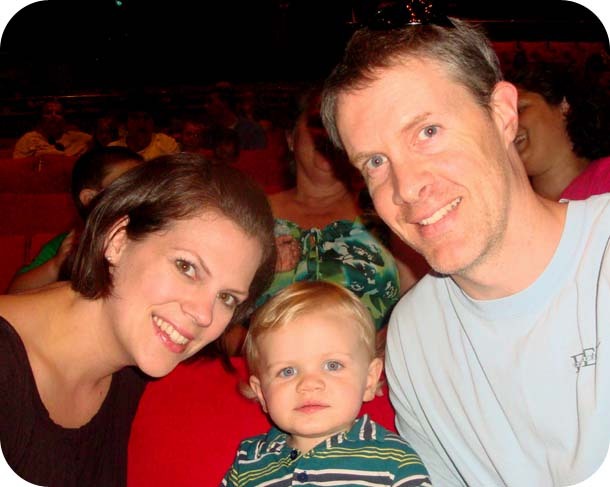 (And of course, the Wiggles show last weekend!) They're always fun, mainly because it's such a kick to watch how your child reacts to the action onstage. 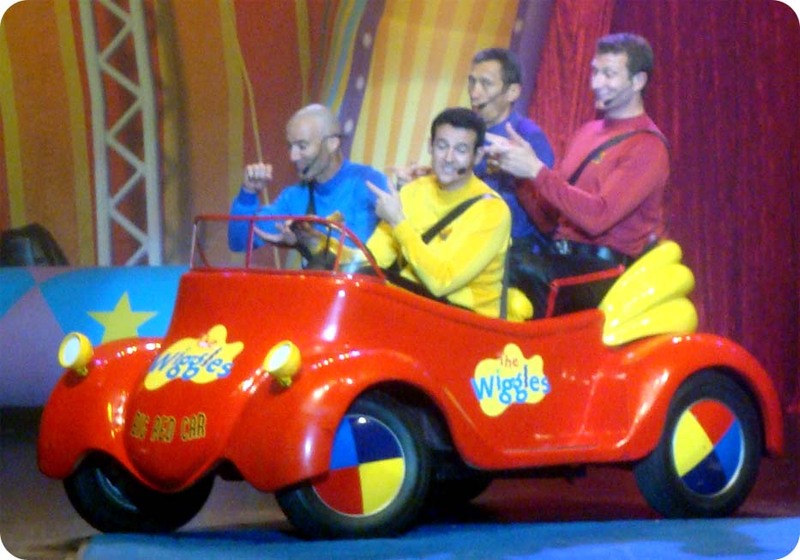 The Wiggles were by far my favorite, mainly because I actually like their music, and because the guys themselves really seem to be having fun up there. Oh, we've also done a couple of the outdoor concerts for kids at the NC Museum of Art – we saw Dan Zanes & They Might Be Giants there last summer. Those are definitely worth checking out – you can make it a picnic and it's a lot of fun! OMG- Dan Zanes AND TMBG were here last year? Where have I been? Those would be awesome! Aside from that, I'm glad you had a great time! The Wiggles were always popular with my kiddos. I miss the old yellow wiggle, though. We only have 2 Dvds and Greg is in one of them. We love Greg and were sad to find out he is no longer with them! My son LOVES the Wiggles and would have died of sheer excitement if we took him to a Wiggles Concert!! I remember when I was little, I was taken to Disney on Ice and shows alike and LOVED them and LOVED the memories that they created. I would totally take my son to concerts.